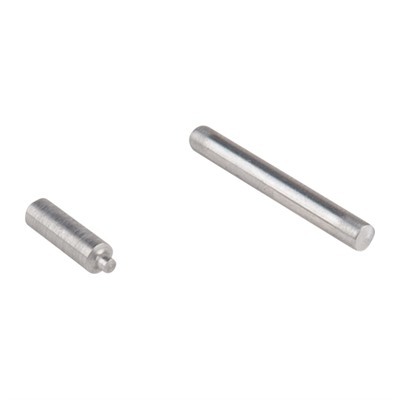 Pocket-sized tool helps prevent breaking the triggerguard tab or marring lower receiver finish when installing or removing the roll pin. Tool fully supports triggerguard tab while slowly pushing the roll pin in or out of its channel. 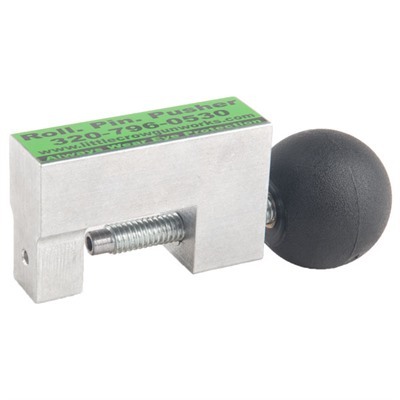 Includes steel alignment pin and push pin to aid in roll pin removal and installation. SPECS: Aluminum body, anodized. 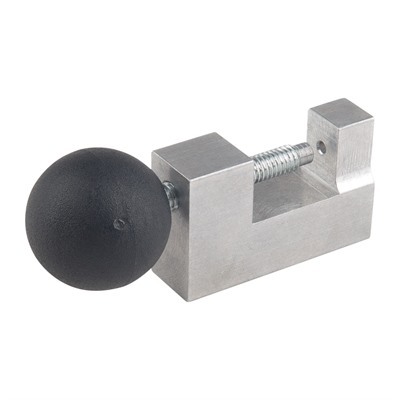 Molded thermoplastic handle, 1-7/16" (3.6cm) diameter. Steel screw, push pin and alignment pin.